Last year, Hey Kentucky! was nominated for a regional Emmy award in the show’s first year on-air. They came away empty-handed, but it was a major accomplishment nonetheless. Just a year later, Matt Jones and the Hey Kentucky! crew have topped their previous achievement, as they have been nominated for two Emmys at the 54th Ohio Valley Regional Emmy Awards. 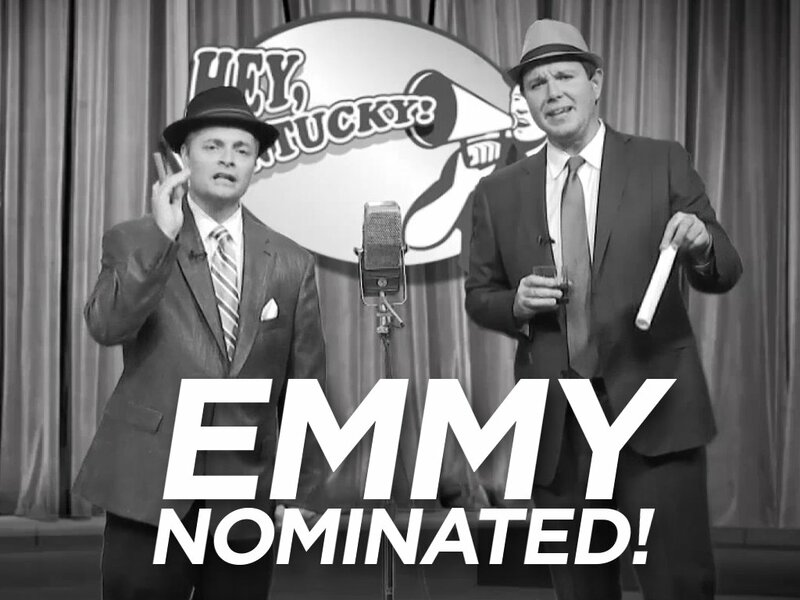 Jones was nominated for Best Host, while Hey Kentucky’s “Lost Episode” was also nominated for an award. Big shout out to my @hey_kentucky crew as we were nominated for an Emmy for our “Lost Episode” last year. That was my favorite thing we did in 2017 and we are very excited. Thanks to everyone who watches the show! Last year the Hey Kentucky! crew unfortunately came home without the hardware. This time, however, they’ll be coming home with two. Join me in congratulating Matt Jones and Hey Kentucky on the incredible achievement!